2017 Taxes: $1,320.00 | 864 Sq. 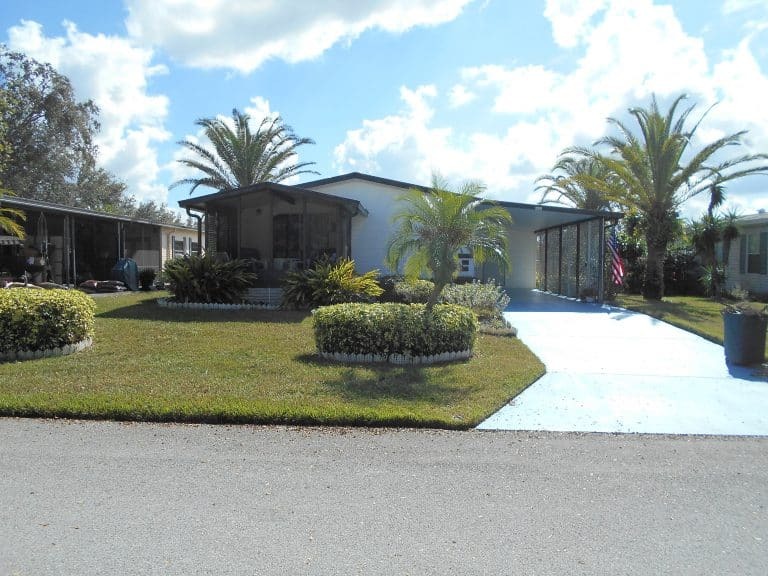 Ft.
Orlando Home JUST SOLD in 55+ Community – Well maintained MOSTLY FURNISHED home in a very desirable 55+ community with LOW HOA fees AND you own the land! The open floor plan offers a nice living room leading to a screened room, a kitchen (newer refrigerator), a dining room, two bedrooms, two baths an inside laundry, and lots of storage. This home has been replumbed with shutoff valves everywhere, has a termite prevention contract, new roof was added (2003), and a newer A/C. This property is nicely landscaped and ready to occupy. Polo Park West offers an Executive 9- hole golf course, two club houses with kitchen facilities, two heated swimming pools, tennis courts, shuffleboard courts, pool tables, exercise room, library, planned activities (such as Bingo, arts, crafts, sports), active neighborhood watch & safety program, and tv station with community announcements. LOW HOA FEES.